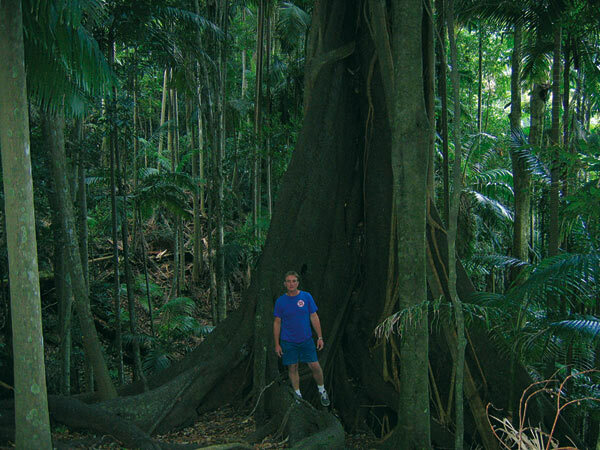 Nimbin Tours Nimbin Chill or tour option, tour Nimbin's great art and craft galleries, visit our funky Cafes and find out about permaculture and alternative lifestyle choices, stopover available. 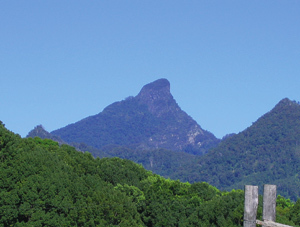 On this beautiful Wollumbin hike you will experience supurb world heratige sub-tropical rainforest and the vikews from the top are breathtaking (fitness required). . Stay overnight and hike in the morning for the most sensational sun rise Mt Warning is the first place on the East Coast to recieve the sun. 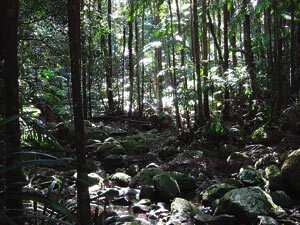 You can be picked up in Uki and stay at Mt warning B&B retreat (camping and tents available). A nature lovers delight with abundant birds and pltypus. Free bikes and canoeing. Transport to the trailhead and connections. Located at the foot of Mt Warning on five acres of beautiful riverside gardens and rainforest, Mount Warning Bed and Breakfast Retreat is a charming 1920's home overlooking the Tweed River, just 5 minutes drive to Mt Warning National Park. 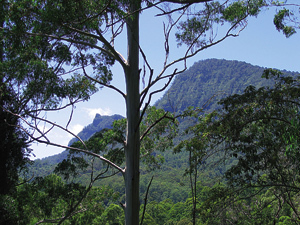 Wollumbin is a birdwatchers paradise with over 232 species of birds.